Various facilities such as swimming pool, gyms etc. will also be made available at the mall at affordable prices. Maharashtra CM Devendra Fadnavis and union minister of road transportation and highway, Nitin Gadkari inaugurated and performed e-bhoomipujan of 13 works jointly at the Jaitala Bazar Chowk on Sunday. The minister duo cut ribbon for works worth Rs. 367.64 crores which is inclusive of projects such as Orange City Street, cement road works, etc. 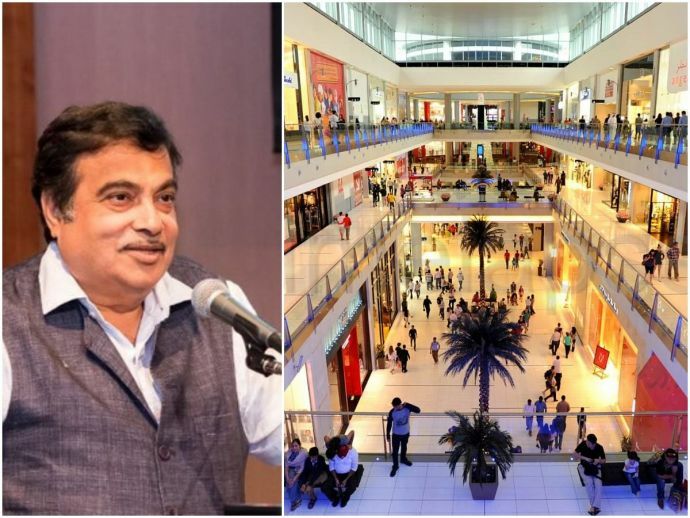 Gadkari revealed that the Orange City Street project was a ‘dream’ of his since long. “The proposed mall here will improve the financial condition of the cash-strapped Nagpur Municipal Corporation as it will earn Rs150 crore property tax every year. Besides, it will also generate 5,000 jobs for Nagpurians,” he said. Spread over 31.15 hectares of land on a 5.5km long strip that spans from Wardha Road to Jaitala T-Point via Khamla, Bhamti, Parsodi and Takli, the project is touted to be the one of the most ambitious ones. Estimated to cost Rs. 2,500 crores, the Orange City Street will be completed in the duration of eight years which will be divided in three phases. The project will have residential, commercial, hospitality, retail and recreational facilities in all. According to NMC, the other projects will fetch them revenue of Rs. 750 crores. Gadkari further added that the Orange City Street will be replete with various facilities such as swimming pool, community centre etc. These facilities will be made available at dirt cheap prices. “For Rs100 per month, access can be had to an international-standard gym,” he said. Speaking on the occasion, Fadnavis stated that no land acquisition works have been carried out during the infrastructure work. “We have already approached the Supreme Court for deletion of zhudpi jungle where slums have come up,” he said. The construction works of the taxiway project near airport will only affect 70 houses in the vicinity, the CM claimed. “The affected families will be settled in their original Jaitala Bhamti locality,” he added. District guardian minister Chandrashekhar Bawankule, MLC Anil Sole, MLA Sudhakar Kohle, Mayor Nanda Jichkar, NMC ruling party leader Sandip Joshi, Collector Ashwin Mudgal, Municipal Commissioner Abhijit Bangar, MD MahaMetro Brijesh Dixit also marked their presence on the occasion.